Haha, okay not really, but kind of. 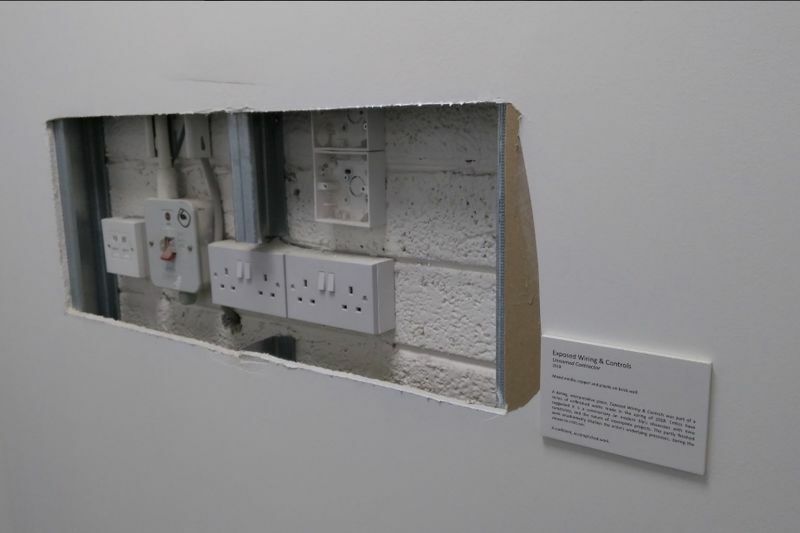 When no one fixes a hole in a new office wall, there is bound to be one person who takes a different approach in making sure it gets fixed. Forget passive-aggressive notes and emails, rather troll using 'art'. The company took notice and fixed the wall so he decided to upgrade his exhibit.